Experience the NASCAR All-Star Race in the heart of NASCAR country - Charlotte, North Carolina with an official travel package! Come enjoy the thrills and spills of exciting Monster Energy Cup All-Star racing with PRIMESPORT! Join us for the 2019 NASCAR All-Star Race in Charlotte, NC. Let PRIMESPORT plan your trip so can relax and enjoy a fun filled weekend in Charlotte for the race. 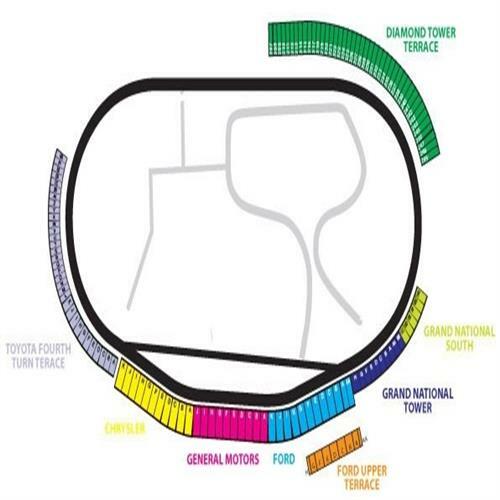 Charlotte Motor Speedway, located in Charlotte, NC is the home of the Monster Energy Cup All-Star Race, the Coke 600, and the Bank of American 500. Charlotte Motor Speedway hosts 3 races on the 2018 NASCAR schedule. The 1.5 mile quad oval track was built in 1959 and is considered the home track of many of the drivers as most of the teams and drivers are located in the Charlotte area.